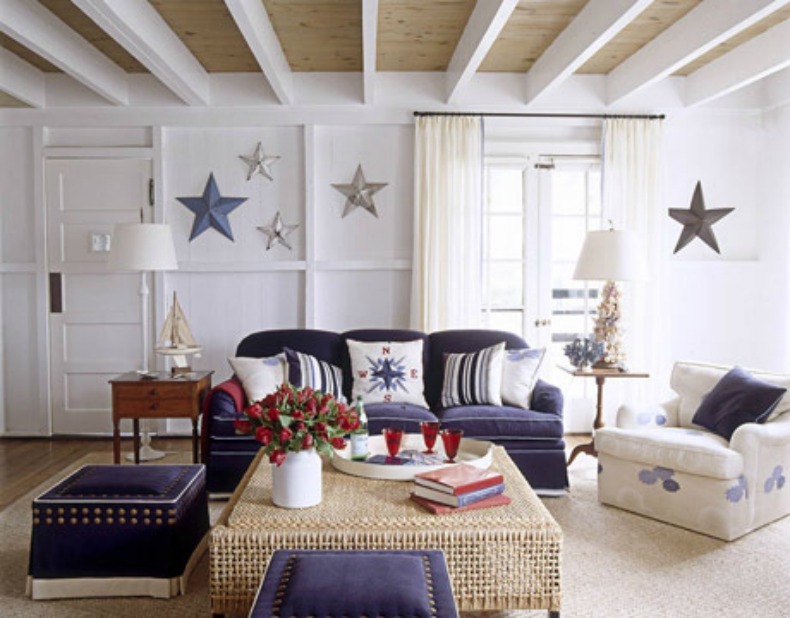 Beautiful Coastal rooms with Nautical touches. 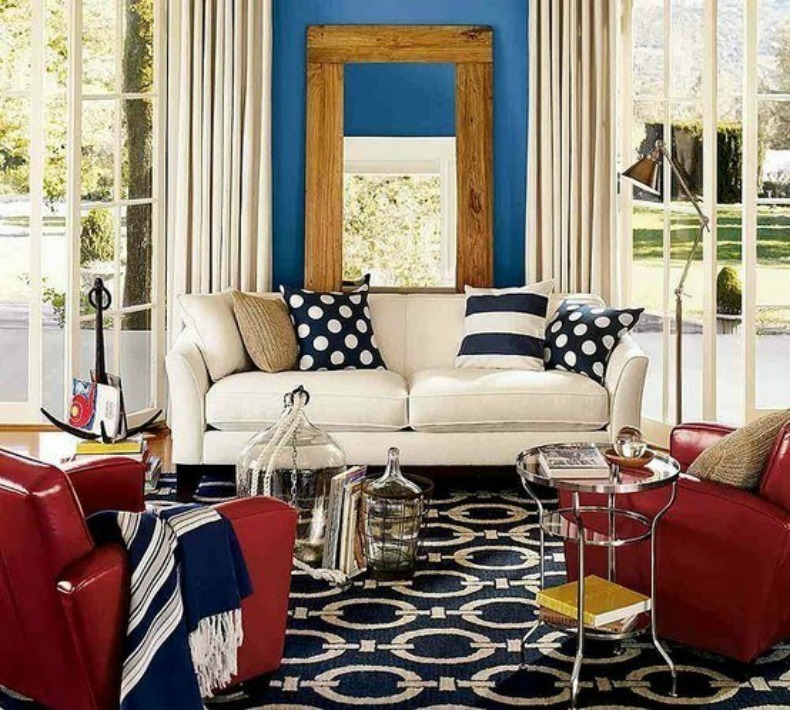 Navy with brass details, red accessories and white accents are a perfect match in this simple Nautical Living Room. 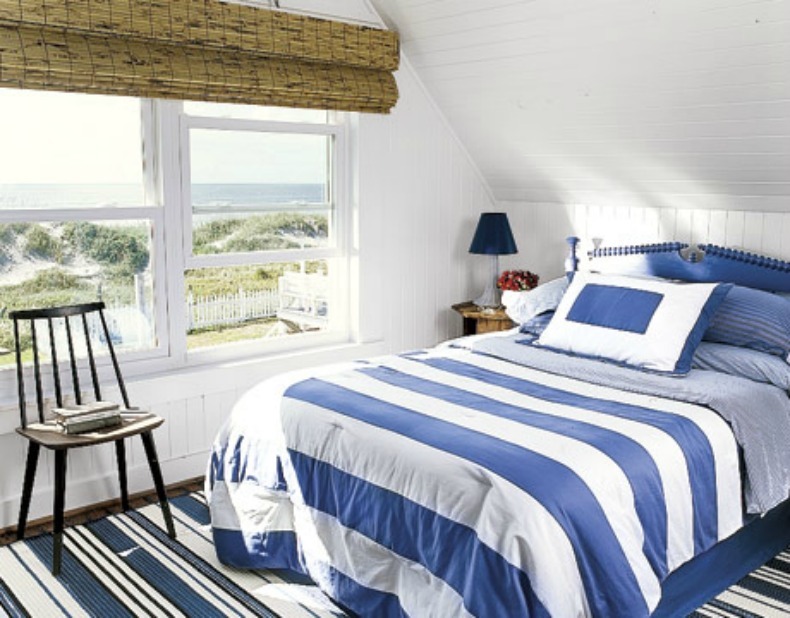 Blue and white stripe bedding, blue painted cottage headboard and nautical stripe rug is simply coastal. Boathouse horizontal cream and white stripes, brass pipe fittings and galvanized tin give this bath a nautical touch. Nautical Red, white and navy with chain link pattern area rug, silver details, glass jars and an anchor creates this nautical style living room.